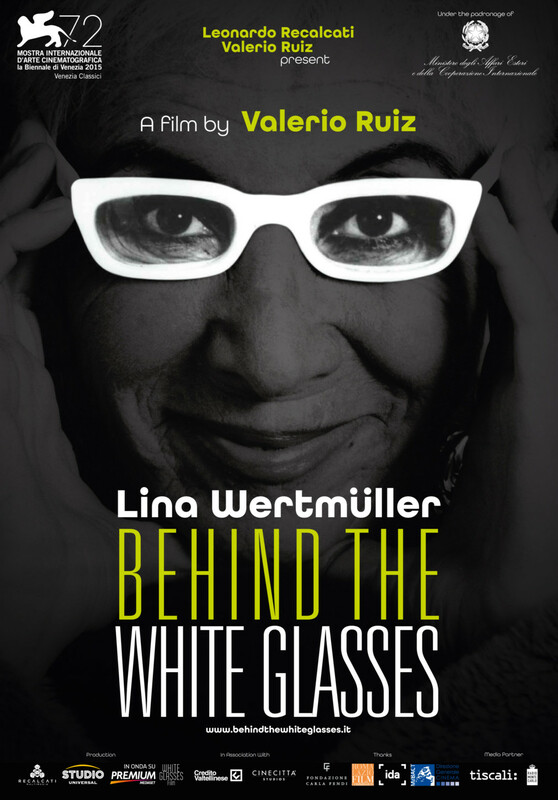 Behind The White Glasses is a documentary film about the life of the great director, and icon of Italian and international cinema, Lina Wertmüller, the first-ever female director nominated for an Oscar for Seven Beauties (1976). The film debuted in 2015 at Venice Film Festival, and this year will be shown on in television, by the Italian TV Studio Universal, and then on a free channel IRIS (Mediaset). From the unpublished pictures taken in Cinecittà when she was Federico Fellini’s assistant director for 8 ½, shown in the documentary we see sets of her most famous films revealing the artistic and human universe of a woman who with unfailing irony and a taste for the grotesque, has left her mark in all fields she worked: cinema, theatre, television, music. The journey is accompanied by many exclusive interviews with the artists who witnessed her constantly evolving career. Among them Giancarlo Giannini, Marina Cicogna, Sophia Loren and many foreign talents such as Martin Scorsese, Harvey Keitel, Nastassja Kinski and film critic John Simon. 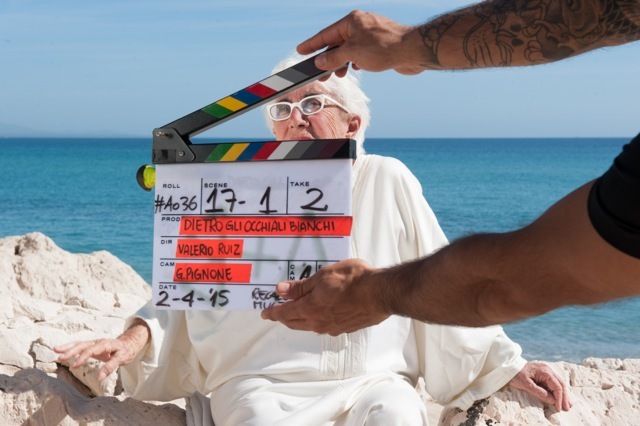 The film features a long series of unreleased videos, images and songs written by Lina Wertmüller. 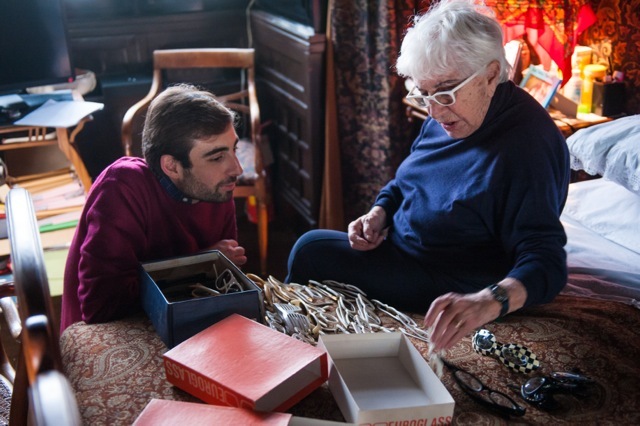 “Behind the white glasses” is a personal poetic portrait by Valerio Ruiz, who was her assistant director and very close collaborator. According to him it’s hard to answer the question of who Lina Wertmüller really is. Behind the white glasses hides a child enjoying life. Inside her live two souls: one being light, ironic and funny, and the other deep dramatic and involved in the problems of man and society. One can see this dual nature in her films. “She never revealed much about herself. She was always defending herself, hiding behind the white glasses that made her a true icon”- He adds. 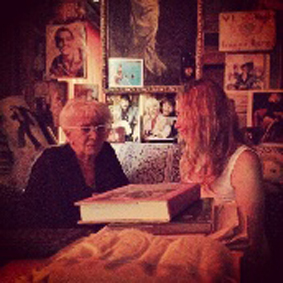 On September 2015 just before the release of the film (and the icon’s 87th birthday) I had the great pleasure to meet this controversial legend personally and to conduct interview, exclusively for JL Interviews, in her private Roman home studio. Well, I can’t hide that on that day my heart skipped a beat for a while. I was moved by this honor, even more when during watching her outstanding movies. In a few days it’s your birthday and you also celebrate a 50 year career. 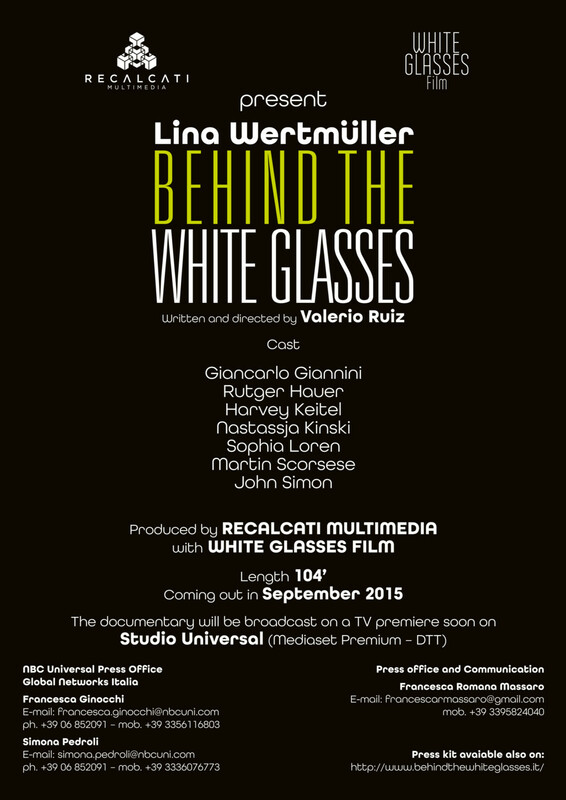 For this occasion “Behind the White Glasses”, a documentary film about your life directed by your assistant Valerio Ruiz, will be released in September 2015 at the Venice Biennale. How do you feel with the passing of time? How do you feel as the main protagonist of a movie portraying your own life? I do not know what to say. The passage of time is, of course, the same for everyone. The years pass and probably death approaches. I have to tell the truth that I have no thoughts, I do not think about that at all. That’s all. As for the film on my life, I watched and liked it. It is interesting to hear what colleagues say about me. I was particularly pleased to see the critic John Simon, a Yugoslav transplanted to New York. He was the fiercest critic in America when he saw my films. It was a real shock for him, so much that he came to me to Rome to meet me. At first meeting, not knowing minimally who he was, I treated him badly. Then, my friend Elsa Martinelli, who was with me, told me: “You’re crazy! John Simon is the most influential critic in the United States.” Then I met him, together with my husband Enrico Job and we became friends. Valerio Ruiz has done a great job going to find all the persons who have followed me closely and who are part of my life. It was not easy to gather all them together. He even called Martin Scorsese. 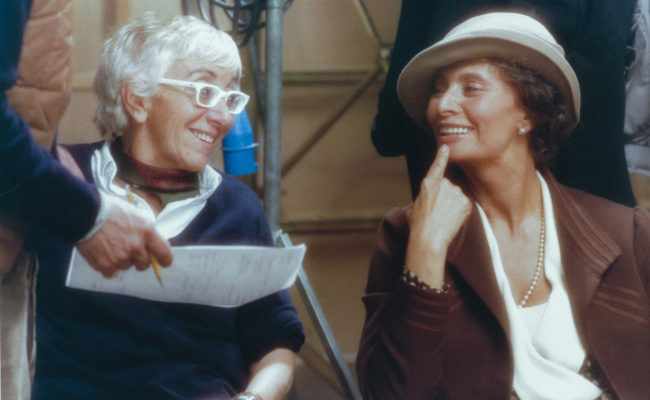 Abroad you are famous mostly for the Oscar nomination, as the first woman director, for the film “Seven Beauties” (1976), also nominated as Best Foreign Film and Best Screenplay. How do you remember the ’77 award ceremony of the Oscars in Los Angeles conducted by the actors Jane Fonda and Warren Beatty? On the one hand it was of course a wonderful memory, on the other it was one thing that never ended, [she laughs]. It seemed to me that maybe because I am sometimes very rude. To create “movement” I asked Lalla, the wife of a film critic, Tullio Kezich, to sat on my seat. I had found this Swiss organization a tremendous nuisance, so when the television cameras were focused on my chair as a competitor for the four nominations, the world saw Kezich’s wife. It was a good trick but someone said that I didn’t get the Oscar because of that joke. I do not believe it, however, anything is possible. Your first steps into the world of cinema were with cult film “8 and ½” by Federico Fellini, with whom you worked as assistant director and actress. What kind of director or person was Fellini? Do you have an anecdote from the set? You can not speak about Fellini. Describing him is like describing a sunrise or sunset. Fellini was an extraordinary human being, a force of nature, he was a man of extraordinary intelligence and sympathy. In the documentary I talked about many moments with him while we were filming “8 and ½”. Meeting Fellini is like discovering a wonderful unknown panorama. He opened my mind when he said something that I will never forget: “If you are not a good storyteller, all the techniques in the world will never save you.” He told me that before I started shooting my first film, “The Basilisks”. In 2010, you received the Davide di Donatello award for your career. From all the films you made which one in particular remained in your heart? What gave the most satisfaction? I don’t know. I’ve made so many. My films are like children to me, I can not say which of them is the best. There are those lucky ones who have conquered the world and the ones smaller, perhaps less successful. They all deserve the same affection and must be defended. You have directed famous actors such as Giancarlo Giannini in 4 movies (including the famous “Pasqualino …”), but also Sophia Loren in “Stuffed Peppers in the Face” and then, her together with Claudia Gerini, in TV series “Francesca and Nunziata”. How was it working with them? Very nice because they are very respectable actors and they are very smart people, and then they are my friends. So it was very nice to work with them. 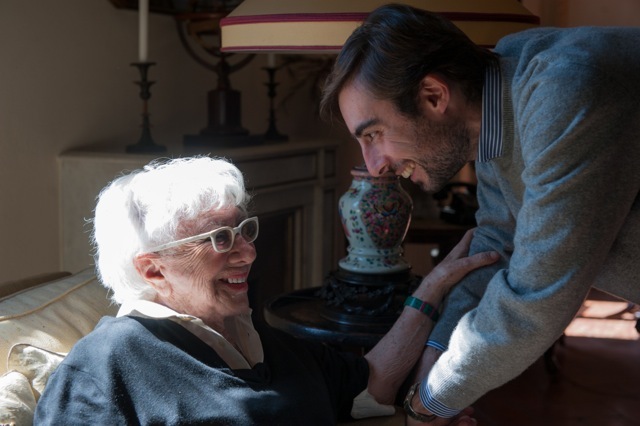 It is also worth remembering Piera Degli Esposti with whom I made several films. I saw her the first time acting in theater in the monologue of Molly from “Ulysses” by Joyce. 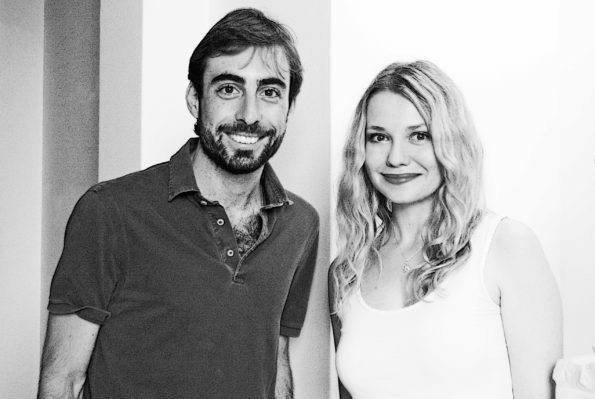 Eduardo De Filippo said she was a “new verb,” ​​and he was right. Her acting struck me very much, she had great skills. Since then I have always considered her one of the most talented actresses in the world. Sophia Loren is a different model actress. She was born in cinema and always did cinema. A real star, that we do not see any longer. 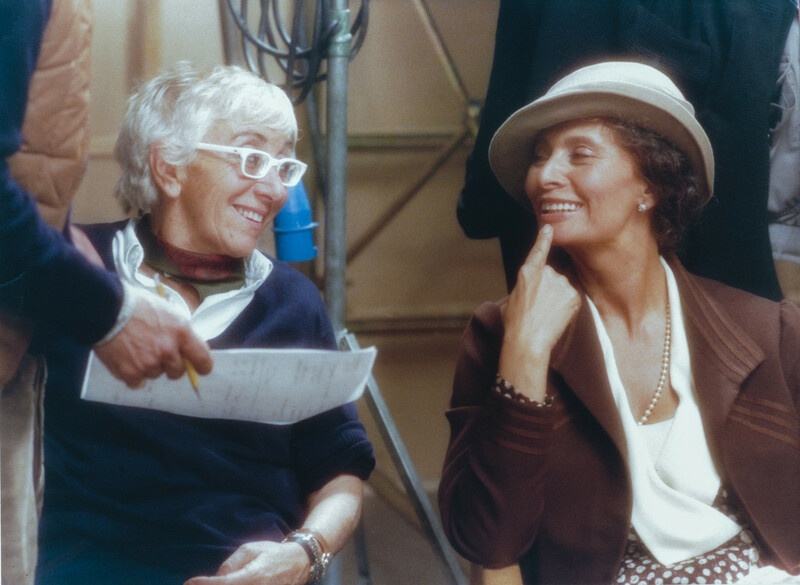 Having made four films with Sophia, I can say that she is an amazing actress. Her beauty perhaps doesn’t let us realize how good. Some may think that she has become who she is because of her dazzling beauty; but no, I assure you, she is also a very good actress. I remember that in “Francesca and Nunziata” I had written a long monologue for the ending, very challenging, difficult, dramatic. We only had to repeat it twice. Sophia Loren is a true wonder and I love her very much, so I hope to work with her again. What is your relationship now with your pupil, if I can call him that, Giancarlo Giannini? He is not my pupil. He’s a very good actor, a friend, a person with whom I passed apart of my life. Seeing him is always a celebration. His enthusiasm is the same as always. An eternal boy passionate about his work. What a great actor! I am proud that, thanks to my film he was known and appreciated all over the world. With Mariangela Melato we did a trio that is already in the history of cinema. In your films there are so many socio-political themes, even feminism. What does it mean for you? What kind of woman are you today? It is not true that in my movies there is so much feminism. I’ve never been particularly feminist. I also find it hard to distinguish what is male and female, in fact, I am more interested in distinguishing smart people from stupid ones and nice people from rude ones but it’s not that I distinguish between human beeings. Once I was invited to a meeting of a group of feminists. When they gave me the microphone I asked if they had seen my film “This Time We Talk About Men”. None of them had seen it. Please don’t misunderstand me: in the mid-60s, a woman – me – had made a film about men and they had not gone to see it. I found it very offensive, so I put down the microphone and left. You collaborated with colleagues directors, Pupi Avati in “Welcome President” as actress in 2013, and also with Sergio Leone on the jury of 45th International Film Festival in Venice’ of ’88. Who do you esteem more? I can not answer this question. If I have to I will say Fellini. I also remember a lot of fun in that edition of the Venice Film Festival with Sergio Leone and I remember that we argued to reward Pedro Almodóvar who participated with “Women on the Verge of a Nervous Breakdown”. We were forward-looking and we understood both the extraordinary talent of this Spanish director. You are mostly recognized all over the world as director, in Italy also as screenwriter, songwriter and writer, but not only, you are also famous for your quirky look and white glasses. What is the story behind them? No special story. Once I bought a pair of white glasses and I liked them so much because they brought to me joy. Some time later, when I came back to find an other pair of these glasses, I went to the factory and they told me: “The minimum we can do is 5.000 pairs for you”, and I replied: “All right, do 5.000” and it was so.